The future of Alaska’s salmon economy is at stake. 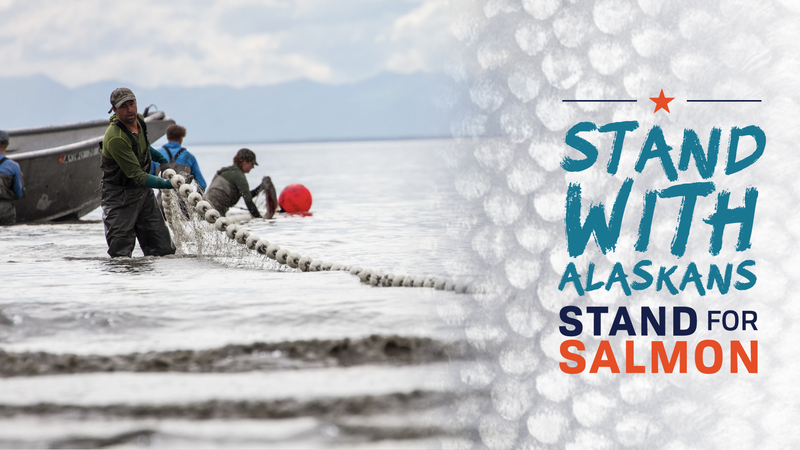 Alaska’s salmon fishing industry is critical to our state’s economy and way of life. However, this vital economic resource is now at risk. Alaska law must be updated to protect wild salmon. The Yes for Salmon ballot initiative is the culmination of years of work to bring more transparency and a responsible, balanced approach to large-scale development projects. The measure creates real accountability, forcing foreign mining corporations to pay for the clean-up of mega development projects on or near vital wild salmon habitat – so that Alaska taxpayers won’t be left holding the bill. Voting Yes on Ballot Measure 1 will help protect our vital salmon runs now and for future generations. Vote Yes on Ballot Measure 1! Please pledge your vote, donate and get involved.